Oh so by the time Christmas comes around you guys will be sick of me writing about it. I love Christmas and the whole holiday season really! I love the decorations and the ugly sweaters, the folklore and the tradition. Truth be told I haven’t spent a Christmas in Vegas yet but I have been exploring what it has to offer this year. I know Christmas isn’t Christmas, unless there’s snow. There is snow here in the desert…it’s just fake. Anyway…here are some of the things that on tap in the Vegas area. 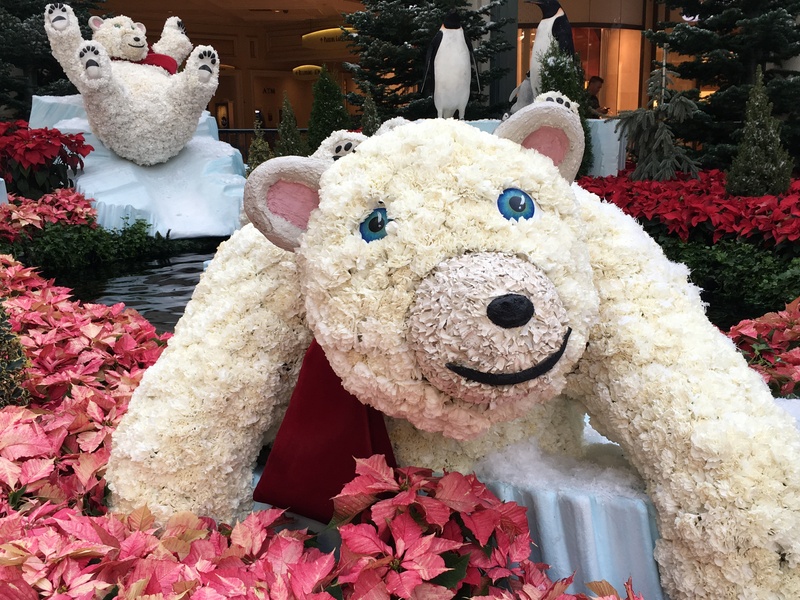 The Bellagio Conservatory and Botanical Gardens have converted into a winter wonderland. Their holiday show will be on display until January 2nd. Early mornings are always quiet and you won’t have to fight so many tourist for great photo ops. Holiday at The Park, next to the T-Mobile area, a Holiday festival for the month of December. You can ice skate, listen to Carolers and stroll the grounds which are decorated for the season. Ice skating is $15 for 2 hours but if you’re a local or military you will receive a 20% discount. Speaking of ice skating, The Cosmopolitan converts it’s Boulevard Pool to an ice rink with a snow shower every half hour! You don’t have to skate to be apart of the action, enjoy drinks and food while you watch the skaters. If you have a party of 10 or more you can reserve one of their outdoor fire pits online. Looking for something to do on Monday nights? The Cosmo shows a holiday movie double feature on their digital marquee. Want to ride the Holiday Express…in Vegas? The Springs Preserve for the next two weekends you can ride a train around the Spring Preserve. They are only running on Saturday and Sunday and space is limited so book online. While you ride the train you can enjoy hot chocolate and see “snow” dusting the area. These are just a few of the fun events you can visit while in Vegas. It’s also a great way to see the place you live in with different eyes. 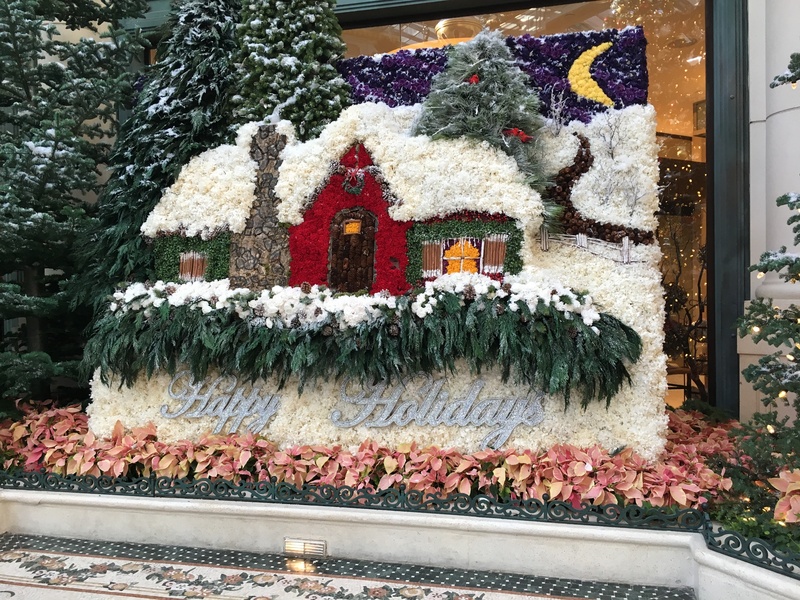 See what’s going on in your area for the Holidays, you never know what’s outside your door until you explore (I think I just found my tag line!). Until next time.